Werner Stumm was the preeminent water chemist in the world, his fundamental research on the chemical equilibria in water systems and its relationship to the distribution and circulation of chemical substances has made possible the protection of lakes and rivers throughout the world. Werner Stumm is honored with the Tyler Prize as the father of the multidisciplinary field of aquatic chemistry. His research has probed the distribution and circulation of chemical compounds in natural waters. He has directed fundamental research for the removal of pollutants from water supplies and waste waters, and he has advocated the use of chemical concepts and ecological concepts in water pollution control and the preservation of ecological systems. With fellow 1986 Tyler Laureate and environmental biologist Richard A. Vollenweider, Dr. Stumm contributed significantly to understanding eutrophication, the overfertilization that clogs lakes, rivers and reservoirs with excessive vegetation, resulting from the concentration of phosphorus due to agricultural and urban wastes. For twenty years Dr. Stumm has championed multidisciplinary teamwork by scientists to focus on the interaction of chemical, physical, biological and sociological forces affecting the environment. Beginning in 1966, Dr. Stumm has regularly organized conferences to exchange ideas on chemical processes and equilibria in natural water systems and to examine global chemical cycles and their alterations by humanity. He has successfully intensified the scientific community’s commitment to longterm environmental research and he has raised the level of awareness and understanding of water quality problems in wide circles of world society. As Director of the Swiss Federal Institute for Water resources and Water Pollution Control (associated with the Swiss Federal Institute of Technology in Zurich) for the past sixteen years, Dr. Stumm has helped fashion that organization into Europe’s foremost facility for research in water quality. 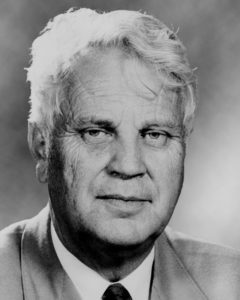 Author of more than 200 scientific papers, Dr. Stumm collaborated with James J. Morgan at Caltech in writing “Aquatic Chemistry” (WileyInterscience, 1970), the basic text on the distribution and environmental impact of chemicals in freshwater and marine environments. Born in Switzerland, Dr. Stumm earned his Ph.D. in chemistry in 1952 from the University of Zurich. After completing postdoctoral work in 1956, he joined the Harvard University faculty for 15 years, including appointment as the Gordon McKay Professor of Applied Chemistry. Among his other honors, Dr. Stumm has received the American Chemical Society’s Award for Pollution Control. Richard Vollenweider was a theoretical limnologist whose research led to the development of predictive models of eutrophication of fresh waters, his theories resulted in major advances in water pollution control throughout the world. Richard A. Vollenweider is being recognized for his fundamental contribution to identifying and understanding the role of phosphorus in the eutrophication of fresh water. As chief coordinator of a worldwide scientific search from 19661968 for solutions to the eutrophication problem, the single greatest threat to the quality of the world’s lakes, Dr. Vollenweider provided the Organization of Economic Cooperation and Development (OECD) with a milestone report which introduced the first quantitative biological model predictive of the degree of eutrophication resulting from a given amount of phosphorus. The Vollenweider Model has subsequently been adopted as the basis for eutrophication control programs of most countries of the western world. The “death” of Lake Erie became a symbol of the gravity of the global environmental crisis in the 1960’s. In response to the DECD report, the U.S.Canadian International Joint Commission for the Great Lakes began correcting the problem in 1972 by reducing phosphorus content in detergents (eventually by almost 60%) and by convincing the two governments to spend about $ 100 million annually to construct strategically located antiphosphorus water treatment plants. 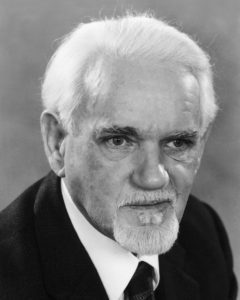 Pollution in the world’s largest supply of fresh water was controlled and reversed by the program which was indebted to the research of Richard Vollenweider. After publishing the DECD report, Dr. Vollenweider organized and directed an 18nation DECD Eutrophication Study Program to collect data linking nutrient loads with eutrophication in about 200 lakes and reservoirs in North America, Western Europe, Japan and Australia. His findings have led, for example, to the establishment of nutrient load limits in lakes and reservoirs by the U.S. Environmental Protection Agency and Canadian agencies. Dr. Vollenweider is concerned that the success of the Vollenweider Model in the Great Lakes and elsewhere not create a false sense of security because eutrophication has not been eliminated. It is still a major water quality problem affecting fisheries, drinking water supplies, recreation and tourism. The parts of the world with the greatest population pressures, the developing nations, lack sufficient money for lake cleanup programs. Dr. Vollenweider warns that those nations are in very real danger of spoiling their sources of fresh water, both for themselves and for future generations. Dr. Vollenweider is helping the international community cultivate ecologically oriented values, and he has declared that this is a vital part of the world’s agenda for at least a couple of generations. To avoid irreversible environmental disaster to the world’s water resources, a new conscience about the environment must begin developing now. Dr. Vollenweider is urging humanity to face the fact that “progress” that degrades the world’s ecosystem is not progress at all. Born in Switzerland, Dr. Vollenweider earned his Ph.D. in biology from the University of Zurich. He is Senior Scientist at the National Water Research Institute, Environment Canada. Currently Dr. Vollenweider serves as copresident of the “International Center for Advanced Environmental Studies, Alessandro Volta,” in Como, Italy and vice president of the International Lake Environment Committee. Among his other honors, Dr. Vollenweider received the Premio Internationale Cervia Award for his consultative work on resource management and eutrophication of the Adriatic Sea.